I started canning a little over two years ago, with my very first jelly. Rosemary. It was great on meat and on crackers. Then I canned a couple more jellies (lemon and plum) and then a bunch of tomato sauce. 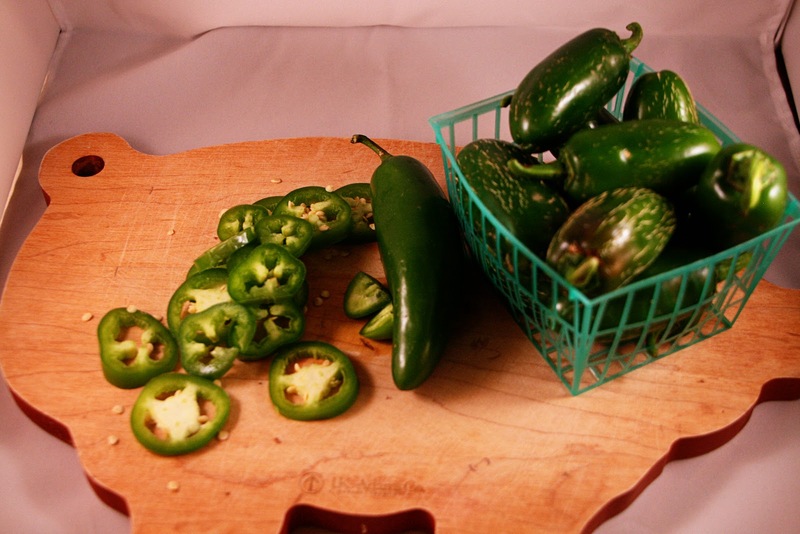 This year I want to step up the game, and I am starting with these jalapeno slices. We're loving our hot peppers this year, and are hoping to increase our crop next year. And of course add the ghost peppers. I figured we will be needing a way to preserve some of our spicy goodness and decided to try this one. 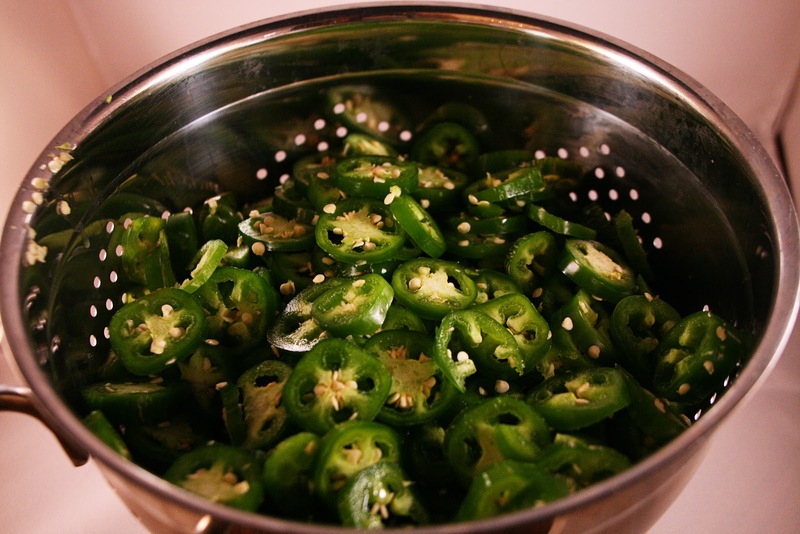 Cut the chiles into 1/8-inch-thick slices and rinse under cold water to remove the loose seeds. (If you have sensitive skin at all, it is worth wearing gloves for this part - it is a lot of contact with spicy peppers!) Drain well. 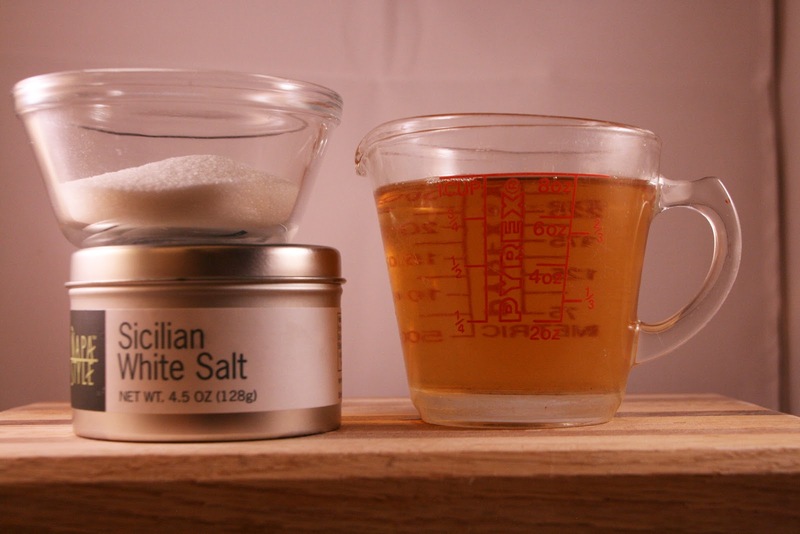 In a nonreactive pot, combine the vinegar, 1 cup water, sugar and salt and bring just to a boil, stirring to dissolve the sugar and salt. Working quickly, put a garlic clove into each of 4-6 pint jars (I would prepare 6 jars to be safe, though it made about 5 pints for me). Pack with the chiles, leaving 1 inch head space at the top. Ladle the hot vinegar mixture into the jars, leaving 1/2 inch head space. Use a chopstick to remove air bubbles around the inside of each jar. Use a damp paper towel to wipe the rims of the jars, then put a flat lid and ring on each jar, adjusting the ring so that it is finger-tight. Return the jars to the water in the canning pot, making sure the water covers the jars by at least 1 inch. Bring to a boil, and boil for 10 minutes to process. Remove the jars to a folded towel, and do not disturb for 12 hours. 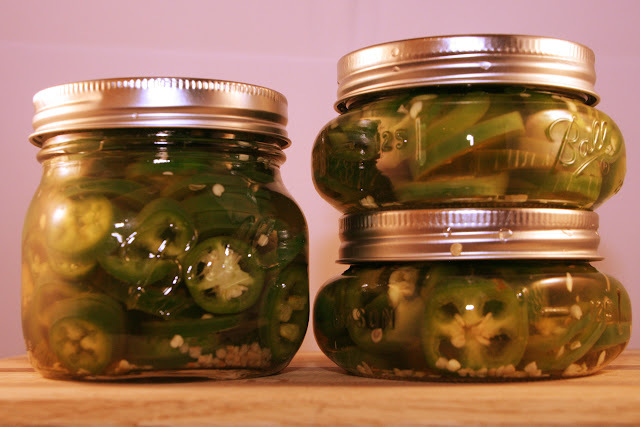 Really, canning isn't hard at all. This took me about an hour, and I was watching the Olympics (and taking pictures) while I was doing it. It's pretty rewarding to be able to set aside some of your own produce for a rainy day. Or a cold one. Depending. Do you can? What is your favorite thing to can? If not, would you ever consider giving it a shot? 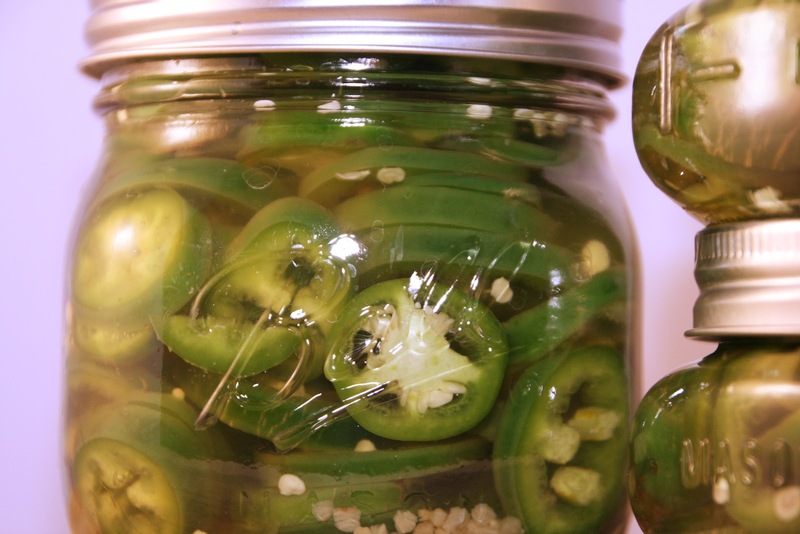 I really want to make my own pickled jalapenos, and this looks like a great recipe to try!